In the 1950s, Ernst Mayr said that the age of discovery of new species of birds had largely ended. Since then, at least 125 new species of birds have been discovered in South America alone, including more than 40 by the LSU Museum of Natural Science. This represents an increase in species richness of about 5% in the resident avifauna of the continent. “New” technology such as mist nets, tape-recorders, and increasing attention to vocalizations as clues to species recognition have catalyzed a new wave of discovery that shows little sign of slowing down. An additional 300 species have been added to the resident South American as a result of taxonomic changes, largely driven by the focus on the importance of vocalizations. Dr. Remsen is the John McIlhenny Distinguished Professor at the Museum of Natural Science, Louisiana State University, where he began working in 1978. Dr. Remsen has spent about three years of his life in total in South America studying bird there. He is founder and Chair of the Am. Ornithological Society’s South American Classification Committee, and has been a member of the AOS North American Classification Committee since 1984. He is the recipient of the Brewster Medal of the American Ornithological Society for his research accomplishments. He is a co-author of the new field guide to birds of Bolivia as well as the Howard-Moore Complete Check-list of Birds of the World. Vol. 1. 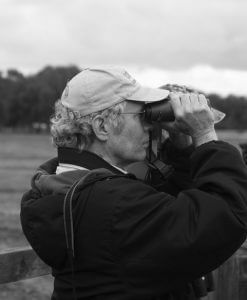 He has mentored 21 doctoral students and 15 Master’s students, many of whom are prominent ornithologists.